The release of The Black Act: Witch Twins Saga the Complete Serial Novel is just around the corner. I should have the ebook released by March 5 and the print book will follow soon after. I’m very excited to have an introduction from M.R. Sellars included! Now here’s the cover reveal for the serial novel. Watch for the official release coming soon! Vist The Black Act page for more info. 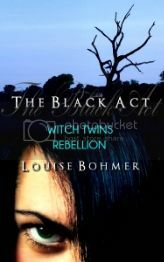 Finally it’s time to reveal the special guest author who has written up a fabulously fun introduction for The Black Act: Witch Twins Saga. I know you’re going to love it. My special guest author is none other than M.R. Sellars! 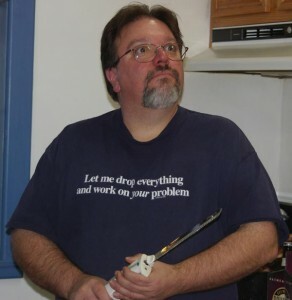 M.R. is a paranormal thriller writer who is the brains behind the award winning Rowan Gant Investigations series about a witch who becomes an occult detective. I was pretty tickled to write a blurb for Miranda. Read on for more info about my awesome pal, M.R.! 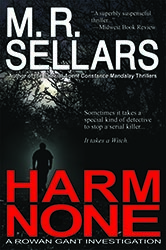 A member of the ITW (International Thriller Writers), M. R. Sellars is a relatively unassuming homebody who considers himself just a “guy with a lot of nightmares and a word processing program.” His first full-length novel, Harm None, hit bookstore shelves in 2000 and he hasn’t stopped writing since. In addition to the award-winning Rowan Gant Investigations series, his catalog of fiction includes the Special Agent Constance Mandalay novels and numerous anthology shorts. 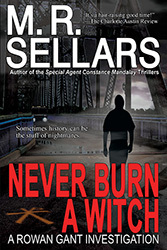 Sellars currently resides in the Midwest with his wife, daughter, Vicki the Wonder Dog, and a trio of rescued male felines that he describes as, “the competition.” At home, when not writing or taking care of the household, he indulges his passions for cooking and chasing his wife around the house. She promises that one day she will allow him to catch her. M.R.’s books can be found on Amazon, Kobo, Barnes & Noble, and Smashwords. You can also add his books to your tbr list over at Goodreads. And don’t forget to grab your free read from M.R. when you’re at his site, Merrie Axemas! It’s the teaser novella that launched his Constance Mandalay series. Huge thanks going out to M.R. for the introduction! 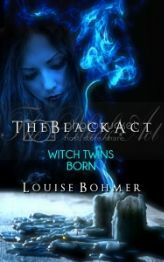 I can’t wait to share it with you all with the re-release of The Black Act: Witch Twins Saga The Complete Serial novel. And I’ll have a cover reveal coming up soon for that, too. As well, keep checking back for updates on The Black Act: Witch Twins Saga Companion and the special guest author involved with this release. 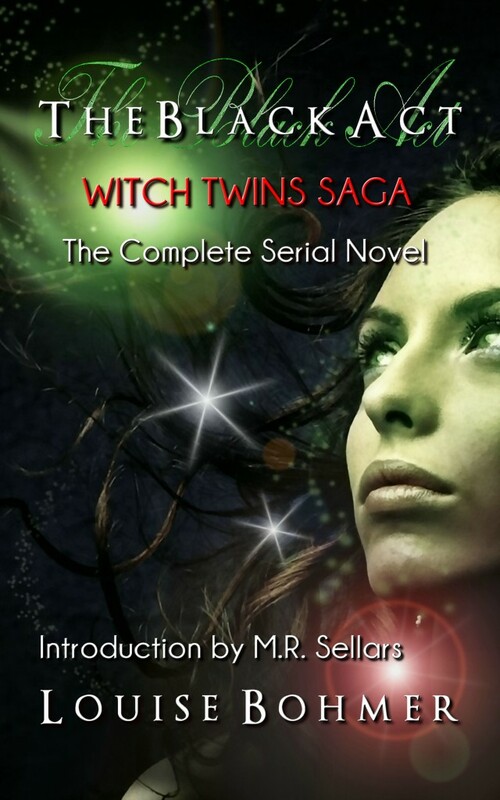 Don’t forget to also enter The Black Act: Witch Twins Saga Raffle! And big thanks to everyone who has entered so far. You can win all 6 ebooks in the series! 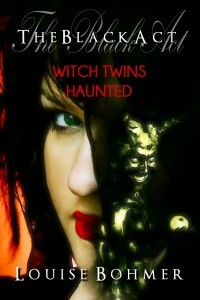 Much thanks going out to Ric for letting me promote The Black Act: Witch Twins Saga plus Anti-Heroes. We also talked about some of my other upcoming projects and had a great chat. If you haven’t checked out The Black Act yet, parts 1 through 5 are now available! I’ll be revealing the cover for Part 6: Witch Twins Hunted tomorrow, and the conclusion will be released in early December. Hope all my American friends and family had a great Thanksgiving, too! Happy Halloween and Blessed Samhain to all! Just a quick note to let you all know The Black Act Book 5: Witch Twins Haunted is now available at Amazon, Kobo, Smashwords, and Nook. Details, buy links, and an excerpt below. This is probably my favorite part of the serial novel. Book 5 includes scenes that were taken from the original short story, Queen of Samhain, which inspired the novel. Plus there’s a run in with a nasty earth slug. About: The history of a curse is filled with bloody battles, bitter hatred, and dark secrets. Through five generations, ghosts of war haunt the wise women. When the rebellion of Glenna ends, their curse sleeps bound in the Tunnels of the Dead, waiting for its chance to re-awaken the war between the wood people and Dalthwein clans. Claire, a wise woman born in the valley of the fae, unwittingly helps it escape imprisonment, while her twin sister Anna receives psychic glimpses of ancient secrets she must unravel. With her scribe teacher Rosalind, she also struggles to uncover the reasons behind Claire’s strange behavior, ever escalating since the death of their guild mother, Grianne. The Age of the Wise Women will cease if the curse does not end with Anna and Claire. Perhaps inheriting the mistakes of their ancestors and learning the truths of their identities will bring great suffering for these witch twins. In The Black Act Book 5: Witch Twins Haunted Glenna sneaks into the elder main house, where she faces dire consequences and life shattering truths. The phantom woman takes Claire to the wastelands, but Claire has a change of heart about carrying on the curse. However, it may be too late to refuse the ghosts of her ancestors. It pained her not to heed Rothrien’s plea, but she couldn’t listen. If she turned back and let her sister go, she risked losing everything in her life she cherished. She held up her skirts and swung her legs over the fallen oak that marked their meeting place. Saranna wasn’t far ahead, and she’d slowed her pace. She hadn’t yet discovered Glenna behind her. Glenna slowed to a fast walk to keep her approach as near soundless as possible. I am hunter. She is prey. Only one chance. The thought stopped her. She ducked behind a thick cottonwood, taking time to gather her senses after the phantoms’ assault. She placed her hands on the cool, deeply wrinkled bark and laid her forehead against the tree. She’ll tell. She’s angry with you—hurt—she’ll tell. Then you will never see Rothrien again. Her hand slid beneath her apron and she found the fine silver belt that held her dagger. She closed her eyes. Tears escaped as she slid the iron blade from its scabbard. Daring a glance around the trunk, she found Saranna had stopped to rest. She sat at the side of the path, using the trunk of a large birch to support her. Her eyes appeared to be closed. Staying behind the cover of trees, Glenna moved forward as she watched her sister from between the gaps in the branches. She held the dagger behind her and she alternated glances between Saranna and the ground, careful not to step on anything that might make enough noise to give her away. 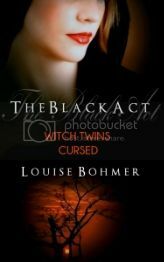 The Black Act Book 3: Witch Twins Cursed is now available at Smashwords, Amazon, Kobo, and Barnes & Noble. Details, including an excerpt, and buy links are below. Don’t forget to grab Book 1: Witch Twins Born for free at all outlets, and Book 2: Witch Twins Secrets is now available for under a dollar. Links to those are also included below. Have a great upcoming weekend! About: This is a serial fantasy novel that will be released in regular installments. Watch for Book 4: Witch Twins Rebellion coming soon. The history of a curse is filled with bloody battles, bitter hatred, and dark secrets. In The Black Act Book 3: Witch Twins Cursed Anna learns more about the origins of the curse handed down through generations of her family, when Rosalind shares with her the story of Drea, the first wise woman, and how Drea’s crime against the wood people led to the creation of the wise women’s guild. Excerpt: The wind is warm this morning. Anna knew it held an omen that the approaching Summer Quarter would be stiflingly hot and long. It’ll probably drag well into the Autumn Quarter this revolution. She wouldn’t mind so much though. She preferred the Autumn Quarter, and a lengthened one meant she could enjoy the vibrant colors of final harvest time that much longer. Rosalind finally broke the silence as they walked to the guild’s orchard—a long, sweet smelling grove of apple trees. The fruit was sacred to wood people and Dalthwein alike, and served as a symbol of hardy abundance for harvest times. She heard Rosalind’s soft sigh of worry. She certainly shared this troubled state of mind with her. They continued their walk, Anna carrying the small picnic basket. Though the birds sang and the day was lovely, in their collective thoughts Anna and Rosalind exchanged nothing but darker, troubled images. Once they entered the orchard and settled on the grass beneath a leafy, fragrant apple tree, Anna decided to break the quiet. Rosalind looked so weary, so old and frightened. Anna feared the toll all this was taking on her elder’s health. 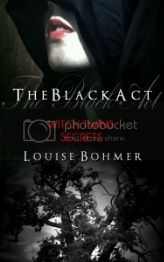 You can also grab Book 1 and Book 2 via the links below, or visit The Black Act page for more excerpts and other goodies.